The Devils travel to Toronto to take on the Maple Leafs at Air Canada Centre on Thursay night at 7:30 p.m. The Devils won for just the second time in their last 14 games with Tuesday's 3-2 overtime victory over the Rangers. New Jersey is 5-for-15 (33.3 percent) on the power-play over its last five games, scoring at least one power-play goal in all five. The Maple Leafs won their second straight and extended their point streak to four games following Wednesday's 5-2 victory at the Blue Jackets. Toronto has now scored at least five goals 13 times this season, its most since 2008-09 (17). New Jersey and Toronto have gone to the shootout six times in the last 11 meetings. Dating back to the 2013-14 season, no other head-to-head series has seen at least six games reach the shootout. The Devils have placed Pavel Zacha (concussion) on IR retroactive to Feb. 21, and have recalled Blake Coleman from Albany, the Devils announced Monday morning. In 52 games with New Jersey this season, Zacha has racked up eight goals and eight assists. 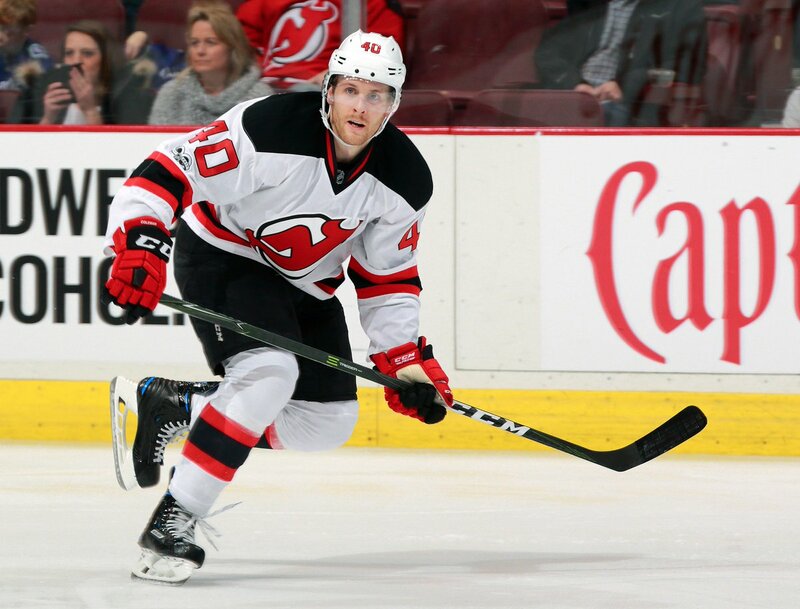 Coleman has appeared in only five games with the Devils this season, recording his only point, an assist, during the Jan. 17 win over Minnesota. Devils C Pavel Zacha, who was the sixth overall pick in the 2015 NHL Draft, is impressed the the team's top two picks from this year, writes Chris Ryan at NJ.com. C Michael McLeod (12th overall pick) and C Nathan Bastian (41st overall pick) have been participating in the Prospects Challenge. "I saw McLeod and Bastian, they looked really good," Zacha said. "I'm really excited [to see] them in the rookie tournament, and I see that we have really good prospects this year, it's even better than last year."